Artist of the Week Returns June 25th! 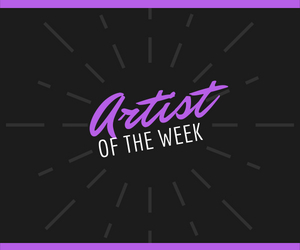 The time has come for us to re-ignite the Artist of the Week feature! We will select an artist to feature each week who has showcased growing talent and hard work. Each artist selected gets front page of the site for a week, an interview, and one free blog blast. An artist who’s been dedicated to their craft, and exercised sacrifice to see progress in their career, definitely deserves to be spotlighted, and that’s the whole purpose! To submit for Artist of the Week, send two pictures, EPK/bio, social media, and latest release to shebloggin@gmail.com. Please include ‘Artist of the Week’ in the subject line. Saves your submission from getting lost in the sauce.